Book owners, even generous ones, worry about what might happen to their books if they loan them to others who might not treat them with the same degree of care. 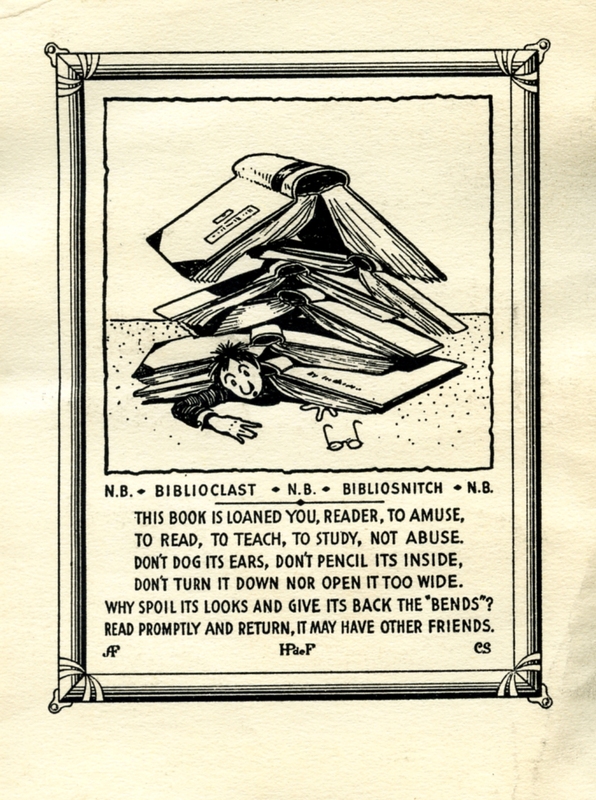 Dr. Henry Pelouze de Forest, a lover of books and of bookplates, had this “Caudal Bookplate,” meant to be inserted at the end of a book, made as a warning to unscrupulous borrowers in 1933. De Forest (1864-1948) graduated from Cornell in 1884 and from Columbia’s College of Physicians and Surgeons in 1890. He was associate professor of obstetrics at the Post-Graduate Hospital and Medical School from 1903 to 1921, but is probably best remembered today for his interest in personal identification. While working as a surgeon for the New York City Police Department (1902-1912), he established what is said to be the first fingerprint file in the United States and invented a dactyloscope for fingerprint examination. De Forest had several bookplates made for his own books and he sent examples of them to Frank Place, who was a librarian here at NYAM. Place collected bookplates and we have three small loose-leaf notebooks full of those he received both as gifts and by sending copies of ours in trade. This bookplate and its accompanying letter were found in the first of those small volumes. We’ll never know how many of de Forest’s friends took advantage of his offer to print up extra batches of his poetic plea that borrowers mind their manners. 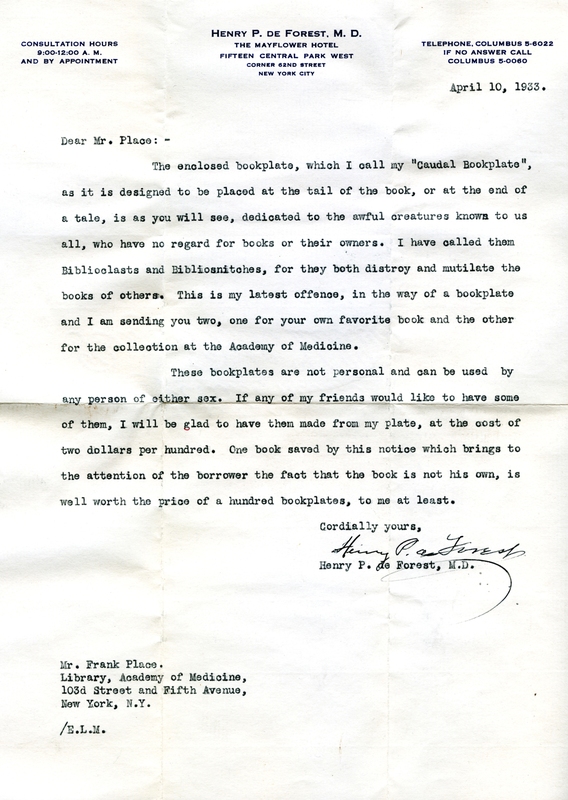 Letter from Henry Pelouze de Forest to NYAM librarian Frank Place. Click to enlarge. 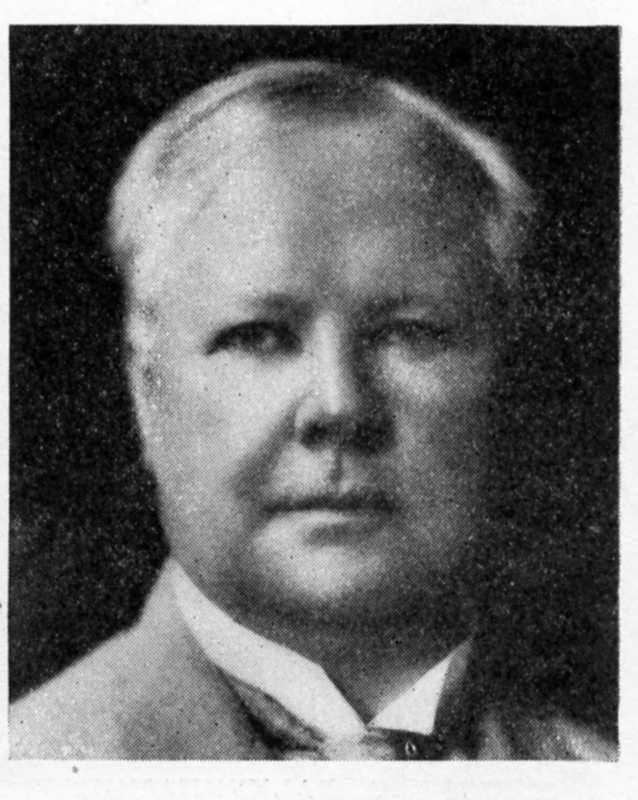 * From the Columbia Alumni News 22:18 (Feb. 13, 1931), p. 10. This entry was posted in Collections and tagged bookplates, books, ex libris, historical collections by nyamhistofmed. Bookmark the permalink. Neat little story. I wonder what the initials AF and CS in the left and right lower corner of the bookplate respectively refers to. Any ideas?? It could be the artist and the engraver. In the letter about de Forest’s other bookplates, he talks about the artist who designed the plates for him, but that person has different initials, so this bookplate was made by someone else.